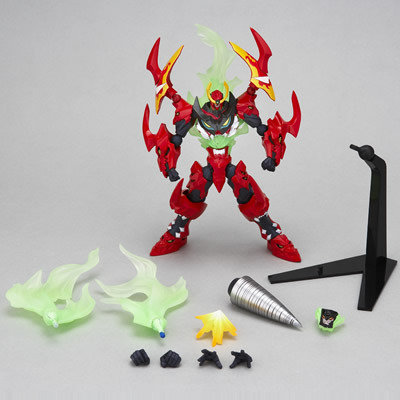 August 21st, 2008 By: GGT Category: 2008/10 release, Figure News. 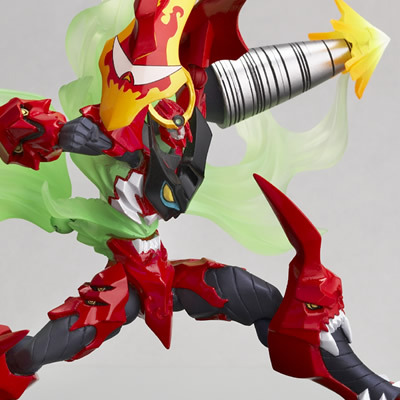 Kaiyodo is going to release the Revoltech Yamaguchi No.62 Gurren Lagann final form ( グレンラガン 最終形態 ) action figure form the anime “Tengen Toppa Gurren Lagann” ( 天元突破グレンラガン ). 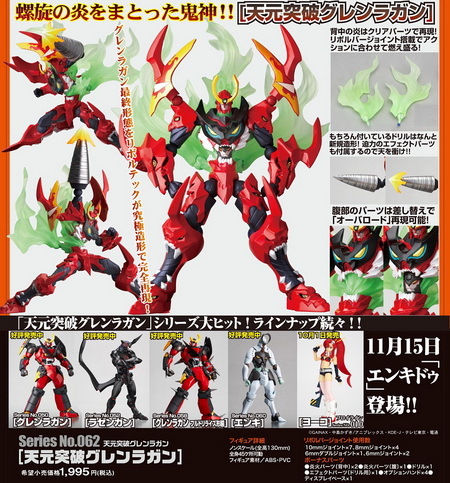 Will be releaed on October 15, 2008. 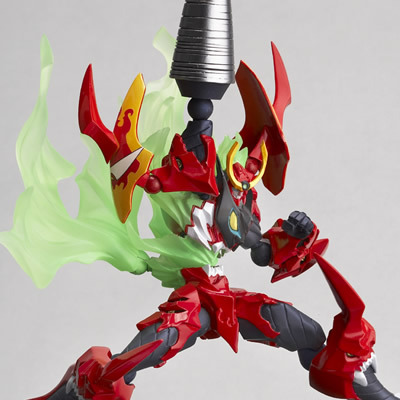 Around 130mm tall, 1,995 yen. 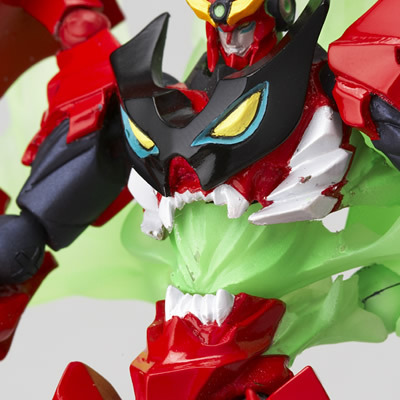 Um… another Revoltech Gurren Lagann. (-_______-. 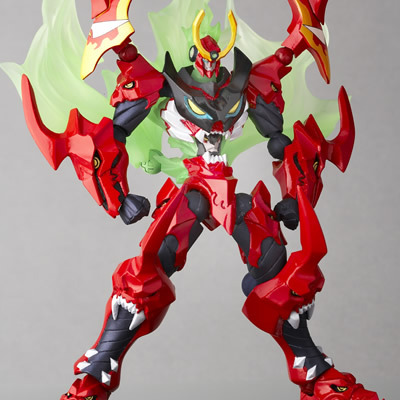 This is the thrid one already. 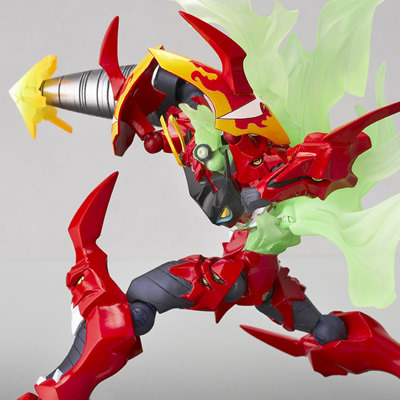 I don’t know about the Gurren Lagann fanboys, but I think it’s kinda ripoff.